Floor sanding isn’t a project that needs to be done too often. You’ll only need to do it when the floor hasn’t been done for a while. So, from the financial point of view, it’s more cost-effective to opt for hiring a floor sander instead of having to purchase one. Renting has a lower upfront cost than purchasing. 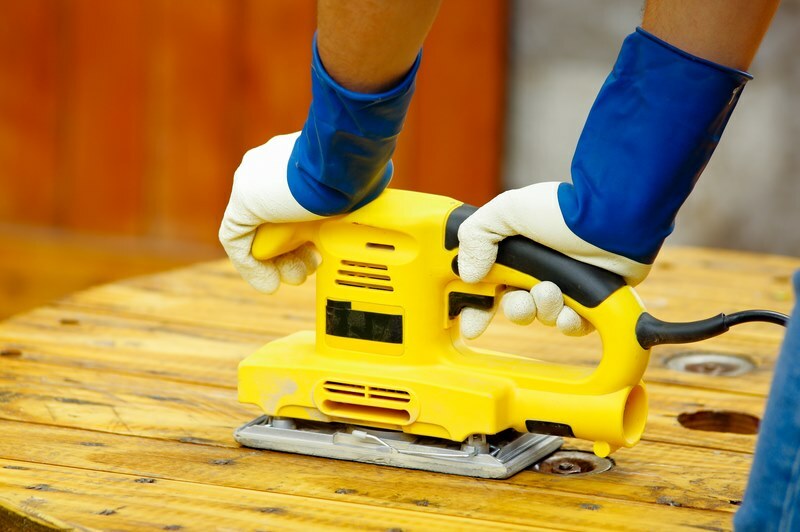 Once you have sanded your floor it’s unlikely that you will do it again anytime soon, therefore, if you were to purchase one it would not be cost effective. It’s likely that when you purchase a floor sander, the one you’ll be able to afford isn’t of the best quality. Furthermore, the rental company will often own better sanders than those owned by yourself. With such a high-quality floor sander, the job you’re doing on the floor will be of a better standard and will take half the time than if you do it using your own, lower-cost floor sander. The hired sanders have also been tested by professionals to ensure that they’re effective and are working properly. For some people, storage space may be a limited resource in the house. Floor sanders aren’t generally considered to be small in size. As such, they need a good amount of space to store. So, if you decide to buy one for yourself, you must also prepare a place where you’ll be keeping it in your house or garage. However, this can be difficult if storage space is limited for you. By hiring a floor sander, you won’t need storage space for it. Once you’re done using it, you can take it back to the rental company or in some cases they may even deliver and collect. When you decide to buy a floor sander, you’ll need to be prepared to incur the costs of maintaining it. This is an extra cost that you’ll need to cater for on a regular basis. However, for the hired equipment, there’ll not be any need for you to maintain it as it’s the responsibility of the rental company. Hence, hiring a floor sander is a cheaper option.